It’s that time of year again – holiday party season. Parties, dinners, lunches – the alcohol will be flowing. That means one thing – hangovers. While hangovers are hard to cure, they are much easier to prevent. Taking a few simple prevention steps can make a make a massive difference to how you feel the next day. 1. Eat something before you drink. Drinking on an empty stomach is a rookie move. You’ll get drunk much faster and it’s likely your hangover will be worse. A meal or snack before drinking causes your stomach to focus on slowing the movement of food and drink through your body so the digestive process can occur. Without food in your stomach, alcohol is essentially on an express train into your bloodstream. 2. Take a Prefunc shot before you go out. 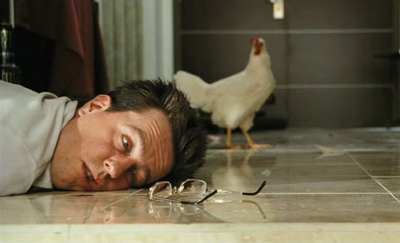 This brand new product is the real deal when it comes to hangover prevention. It’s a Jagermeister-like tasting shot designed to be taken at the start of the night. It literally works miracles and the chances are you’ll have no headache or hangover symptoms the next day at all. 3. Re-hydrate throughout the night. It’s probably not practical to alternate between waters and alcoholic drinks every round, but when it’s your turn to go to the bar, order a water with the drinks and down it on the spot. It will help. 4. Minimise mixing. A night mixing beer, wine, champagne, whiskey and Jager is not going to end well. Keep it simple and stick to a certain drink. When ordering, remember one easy guideline – the clearer, the better. White spirits are definitely better than dark spirits for hangovers – they contain less impurities and thus, are less taxing on your system to process. For that reason, one great drink for minimising hangovers is vodka / soda water and a slice of lime. It’s a cleansing drink and will leave you feeling a lot fresher the next morning. 5. Re-hydrate at home. When you get home, get the fluids back in by drinking a few glasses of water. Even better, drink an electrolyte drink to really ensure you get re-hydrated. 6. Take a Cysteine capsule. Lastly, while you’re drinking that water, pop a Cysteine capsule. Cysteine is a gem of an amino acid that has been proven to help the body process alcohol. See here for our full review. Popping a capsule before bed should also help ease the pain of the hangover to a degree. So be smart this party season. Plan ahead with our tips and you’ll get much more out of the day after the party. And if all those tips fail and you’re still hungover the next day – there’s only one thing to do – kick the can down the road and order a Bloody Mary!